First floor room with views of Barton Fell. 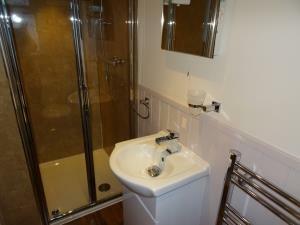 Standard double, new en-suite complete with waterfall tap. White furniture, light fresh colours, extensive hospitality tray, large screen TV. organic toiletries, luxury bed linen and towels. Free Wi-Fi Included. Available for single night telephone bookings.